This story reflects one EMS organization’s experience using CPRmeter and CPRmeter 2. It chronicles Medavie Health Services West’s implementation of the CPRmeter and how it changed the way they save lives. Tim Hillier is the Deputy Chief, Professional Standards at Medavie Health Services West. He is also Chair of the Resuscitation Advisory Committee of the Heart and Stroke Foundation of Saskatchewan, and Past Chair of the Provincial Board of the Heart and Stroke Foundation of Saskatchewan. At the time we really didn’t see the value of the product – once we implemented it, we were so impressed. Medavie Health Services West was very interested in the CPRmeter and knew it was a product worth investing in. At that time, the Saskatoon Paramedic Association, believed in the value and decided to invest in the device for the team. Once the CPRmeter devices arrived, Medavie Health Services West rolled out training to the entire company over the course of four weeks. The timing of the purchase coincided with the bi-annual trauma training with the Saskatoon Fire Department, so Medavie Health Services West was able to provide training to the Fire Department staff as well. Everybody got to train with the other services so that we could learn what the expectations were of each service on the scene…Timing couldn’t have been better. Now, after more than two years of utilizing the CPRmeter device, Tim says, “This is our culture now. We don’t consider responding to a cardiac arrest case without it.” The use of the device is now standard for Medavie Health Services West; each ambulance deployed is automatically equipped with a CPRmeter 2 device. 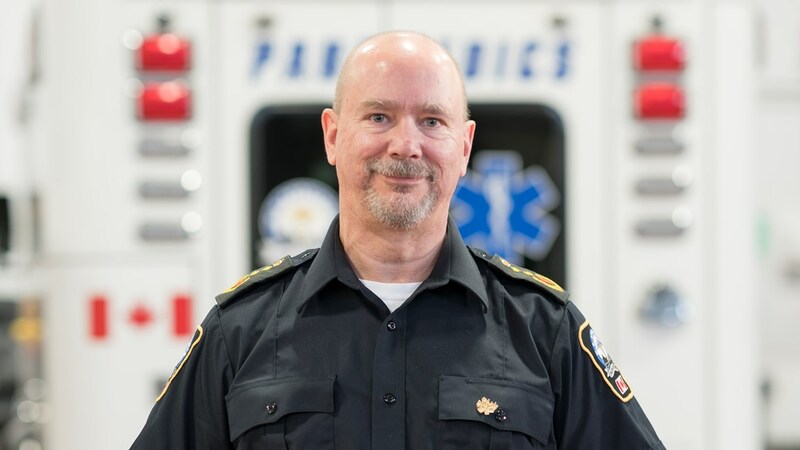 Tim’s recommendation to those who are hesitant about introducing real-time feedback to their EMS system: “CPR feedback must be done flawlessly; with a tool like this you have the opportunity to reach your maximum survival. 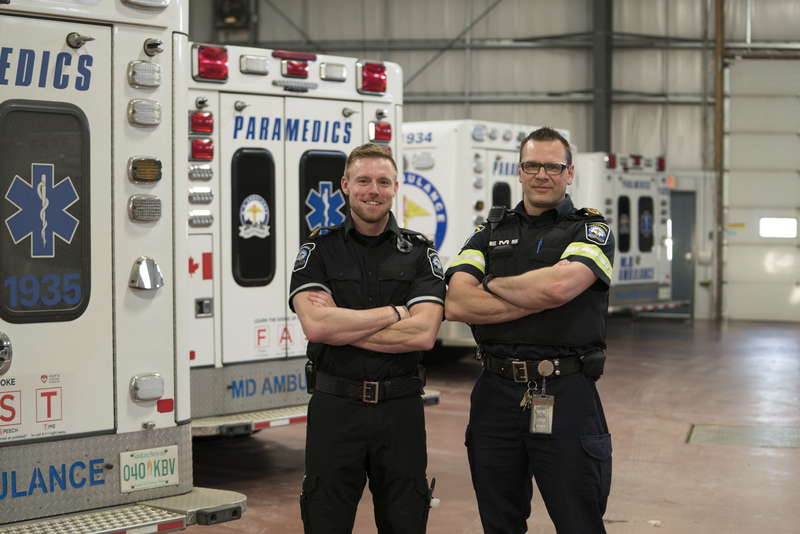 The way I look at it, I know that there are six more people alive in Saskatoon each year that wouldn’t have been if we hadn’t done this.” Medavie Health Services West has fully-embraced the need for high-quality CPR and real-time feedback. Read our interview with Tim Hillier, Deputy Chief of Professional Standards at Medavie Health Services West. Medavie Health Services is a national primary health care solutions organization and the largest private provider of EMS management services in Canada. They manage subsidiary companies in the fields of pre-hospital emergency medical services, mobile integrated health, telehealth medical communications, public safety delivery and clinical training, and are proud to be a key Primary Care Paramedic training partner of the Department of National Defence. They are part of Medavie, a health organization. Together with Medavie Blue Cross, a premier all-in-one benefits carrier and public health program administrator, they are committed to providing innovative solutions that will improve the well-being of all Canadians. They are proud to commit an annual social dividend to the Medavie Health Foundation to support programs and initiatives aimed at addressing some of our country’s most pressing physical and mental health care challenges.